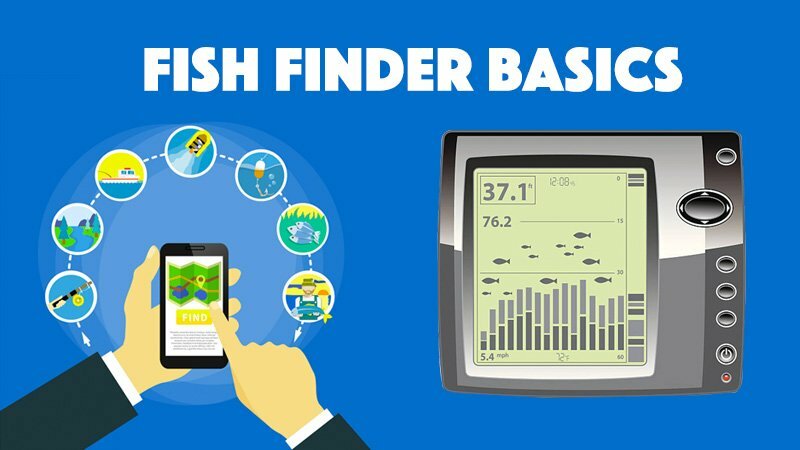 For anyone who enjoys sport fishing, a fish finder is a gift from the heavens. The technology of these hand held devices is always progressing and many anglers are utilizing these devices as fishing guides. 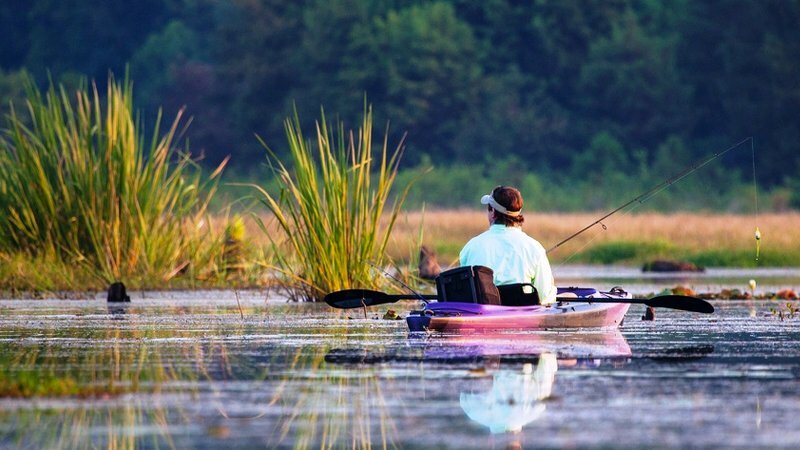 These fish locators survey the water to help you find prime fishing spots. Among the most popular choices on the market is the Humminbird fish finder. This sturdy, lightweight piece of equipment can help you hook the greatest catch of your life. 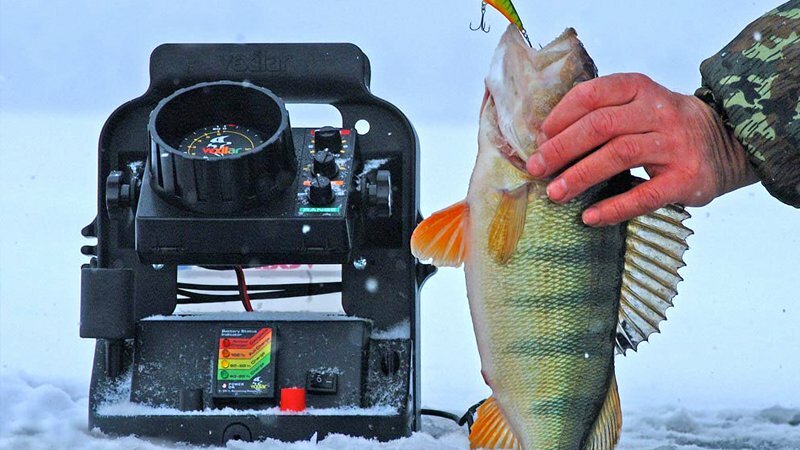 In this article, we’ll review this great fishing apparatus and help you decide if it’s the right fish finder for you. Humminbird produces ten different lines of electronic fish finders, each having several models within a line. The devices are made from sturdy, durable hard plastic that provides maximum protection from the elements and any possible damage that may occur on the water. Some lines of Hummingbird fish finders have stretch neoprene covers available to protect them from water damage. There are protective cases designed to cover the mounting assembly of the unit as well. The Humminbird is small enough to be used on speedboats, canoes and even inflatable boats, as the suction cup transducer will work with any material. This fishfinder uses a dual beam, fish finder sonar. One beam is a 60 degree beam to find the fish and the other is a 20 degree beam to accurately display the bottom and structure. This allows you to see if fish are hiding among weeds or in a concave on the floor of the water. One key decision you need to make before purchasing a higher end Humminbird fish finder is how and where you are going to mount it. Most fish finders will come with a standard mounting bracket and transom mounting transducers. This is the least expensive way to mount your Hummingbird fish finder. Ideally, it should be mounted somewhere convenient and accessible, like near the steering wheel. The transducer, a key element in your system, is mounted on the transom in a spot where it will be submerged both at low speeds and high speeds. If your boat has a ladder, then mount it on the opposite side of the boat to avoid entanglement and possible damage to the transducer. After turning on the fish finder, look at the digital readings that appear on the screen. Depending on the Humminbird fishfinder model you have, these could be depth, water temperature and boat speed readings. These readings are based on the location of the transducer that sends sonar signals from the water to the fish finder. The line across the bottom of the screen is the floor of the lake, river or reservoir. The undulations on the screen mirror the terrain on the bottom. A thick, dark line represents a hard bottom, while a thin, light line indicates a soft bottom. Lines or other objects that extend up from the bottom likely are submerged timber, rocks or vegetation. Arches on the screen represent fish. On some models, you will see fish icons. The icons vary in size depending on the size of the fish. However, the device can sometimes mistake debris for fish. The Humminbird has proved itself to be a reliable tool that every angler should have onboard. It’s easy to use, durable and affordable. 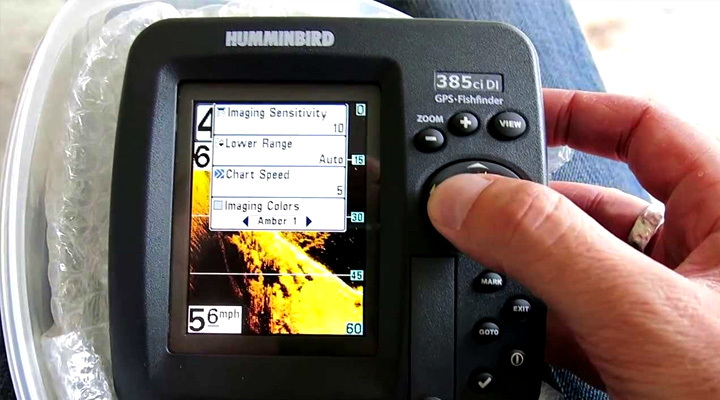 Before you make a purchase, compare the Humminbird fishfinder to other brands, such as Garmin or Lowrance fish finders. However, you’ll find that the Humminbird brand soars above the competition.